Hold filing and bubble wrap together and fold inwards to form a cone. Hold cone in place by stick taping the edges. Trim top. Trim pointy bottom if necessary. 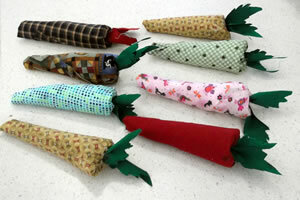 Roll cone over fabric until completely covered, glue the edges and allow time to dry. When dry, press filling down and place a little glue inside cone. 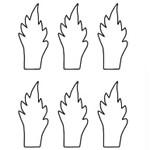 Put 'leaves’ (one or two) inside and gather fabric and leaves together with your fingers. Tie with string or use twist ties. Decorate with yarn of different colours. Place carrots on dining table or gather into a garland and hang as decoration. Beautiful Amanda! Thanks so much for sharing a photo too! Found the carrots that our residents made. 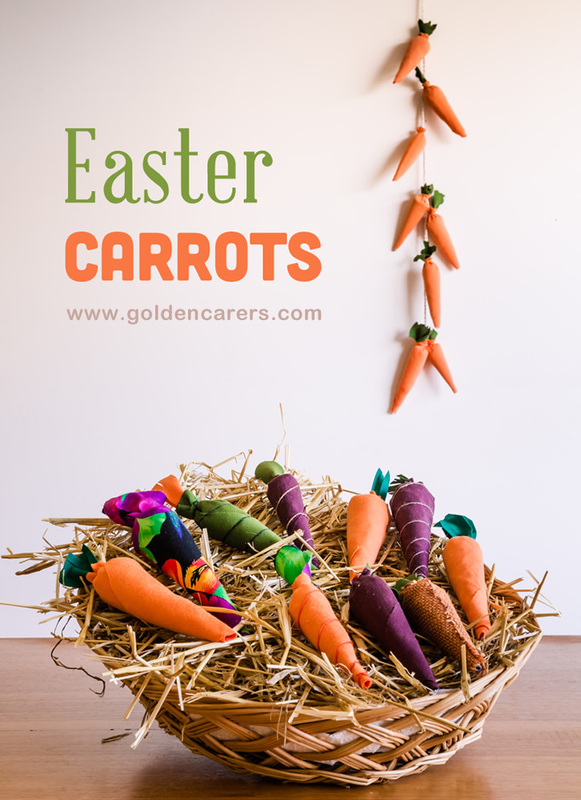 We made these for Easter and the residents thought they were really nice and , once managing how to roll the Carrot into a narrowed cylinder, had a great time. Thanks for your feedback, please send photos when you make them, we'd love to see how they turned out! These are wonderful. I think I might put jelly beans in mine.